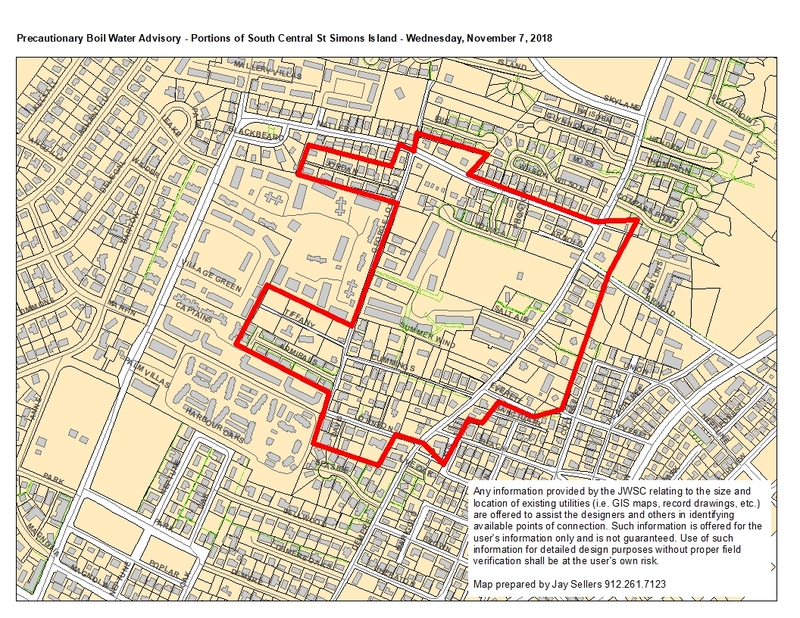 The St. Simons Island water system lost pressure to residences within portions of the south/central end of the island Wednesday, November 7, 2018 due a private contractor hitting a 8″ PVC water main in the area of Salt Air Villas. The service outage was isolated in the vicinity of Mallery south to Johnson and George Lotson east to Demere, including all houses served from those water mains. After service has been restored, BGJWSC lab personnel will collect water samples for testing. This testing, which will take between 18 and 24 hours, should be completed the afternoon of Thursday, November 8, at which time an all-clear message will be posted. This entry was posted in Boil Water Advisory on November 7, 2018 by Joey Nesbitt.